In May 2012, just 14 percent of the global workforce benefited from remote work. Today, that number is at nearly two thirds. Remote work, the gig economy, and freelancers are all on the rise. In a recent international survey of 25,000 workers, 32 percent said they regularly work remotely, while 62 percent are “regularly taking advantage of flexible working practices offered to them.” Remote work is definitely a major part of the modern lifestyle, yet most rely on it to supplement their in-person work. 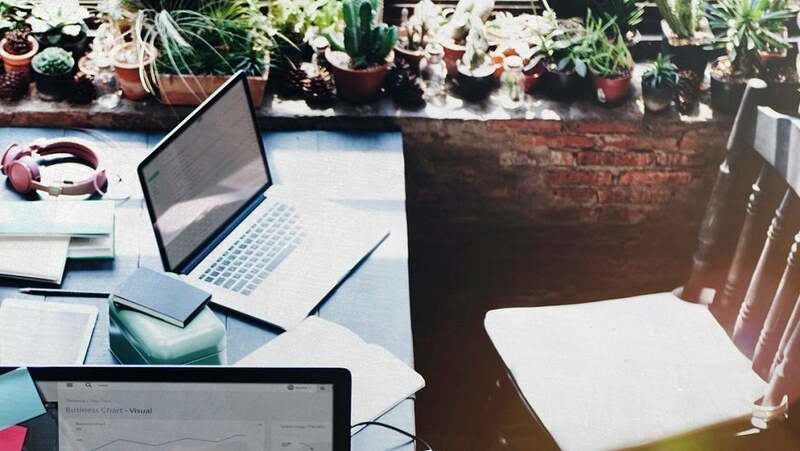 Whether you’re thinking about going freelance remotely, becoming a digital nomad, or just looking to spend a few extra Fridays working from home, here’s the exhaustive guide to everything you should keep in mind: The pros, the cons, and everything in between. Flexibility — This is the biggest reason people love working remotely. You’re finally free to walk the dog or lounge in bed. You can take a quick working vacation with no complaints. Try that at a physical office. No Commute — The average one-way commute time in the United States is 25 minutes. Here’s to the 50 minutes per day of your life that you’re done wasting. The only downside to this one is that you’ll have a harder time catching up on your favorite podcast. More Productivity — Maybe it’s that lack of a commute, but the numbers don’t lie: A stunning 98 percent of remote workers self-report an enhanced productivity. Flexibility — Yes, it’s the biggest pro, but it’s a strong con, if you let it get away from you. You need to be your own boss in order to stay competitive, and its harder than it sounds. To create a schedule that won’t wear you out, trying chunking out your time into three categories: Available, contingency, and discretionary time. Use your available time for your gigs, use contingency time if anything goes wrong, and rely on the discretionary time to recharge you for the next round. You’re Easy to Miss — In a physical office, everyone can see you: They’ll remember to invite you to the important meetings and ask about your weekend. Online, it’s up to you to engage with coworkers or potential clients. No one’s going to see your street sign and walk in for a consultation. You’ll Need a Good Computer — You’ll need something that can run all the applications you’ll need to work, obviously, and you’ll need a great firewall as well. Data security is always important, but it’s more essential when you work remotely, and your computer is your entire livelihood. Back up the most important documents in the cloud or on an external hard drive to be safe. Insurance — Not all remote work is freelance, so your company might have this issue solved. But if you’re trying for contract work, its on you to figure out how to stay safe. You’ll need to figure out how freelancer health insurance works, for starters. The Gigster fund and the life insurance startup Fabric are two options we’ve covered at TechCo. No everyone is cut out for working without a physical office, and many people don’t realize its not for them until their work is already suffering. Here are the two main character traits you’ll need. Be Okay Without People — You don’t have to be a total introvert to work remotely, although it helps. But you will need to be okay with never physically seeing your online coworkers. Staying home all day every day will drive most people a little stir-crazy, but the alternative is constantly commuting to coffee shops and buying a cup. Be a Go-Getter — Sure, no one else cares about your hustle, but you definitely should. You’ll need it in order to establish your own schedule, manage your own money, and continually make new connections. If that sounds exhausting, establishing a remote career might take a while. To Nomad or Not to Nomad? Using your remote position as a springboard for trotting the globe might seem like an easy decision. But it’s not a 24/7 vacation: It’s adding the stress of packing, unpacking, and buying plane tickets to a full work schedule. If you’re not incredibly gung ho about it, you might be better off picking a single location to settle into, at least for a while. If it’s for you, you should start learning more about how the process works. Check out the top six Twitter accounts for landing nomad advice or gigs and dig into the other online resources available for nomads, from Nomad List to networking app DESK.WORKS. to the coliving network Roam to the Coworking Café, which can point you to the best coffeeshops to work in. There’s even Nomad and Spice, a podcast aimed at digital nomad women, for those of you wondering how to deal with the “bromad” subculture. Make an effort to connect with your remote team. First, figure out your time zone. You’ll want to work within set hours that work well for as many other team members as possible. Pick a zone and stick to it, so they’ll know when they can best contact you. Structure is the name of the game, from regular all hands meetings to the perfect team messaging program. “Communication is hard, remote communication is a lot worse. Bad communication is everywhere. The tiniest slip of the mind or finger can undermine a carefully planned communication strategy. Being remote actually allows you to practice intentional and thoughtful communication far more. Own this skill and let it be a second nature to you,” she said. “Creating professional development opportunities virtually can be tough, and the learning component can be a struggle. Therefore, we provide employee development training at all levels, and we offer two application-based employee development programs: one for associates and managers, the other for senior managers and directors,” they wrote. Remote employers should consider investing in training, while remote employees should look for companies that offer these courses or other ways to keep their resume buffed up. Certain job fields work well remotely. The top four: Software development, design, writing, and customer service. If you’re interested in starting up a business in that field, you could go totally remote. Creating an entire entrepreneurial project from home is a classic way to build a startup: You’ll avoid plenty of startup costs, from the monthly overhead to the office equipment, and you’ll gain extra hours from employees who are skipping a commute. You’ll have to learn a few new tricks in order to build your remote team, though, like how to conduct interviews online. Try using Skype’s coding editor feature to hold your technical interviews remotely. Remote teams offer two great social justice benefits to an employer as well: You’ll cut down on the consolidation and income inequality that major tech cities create by forcing everyone to live in proximity, and your team will help out the environment to boot by cutting out your carbon footprint.